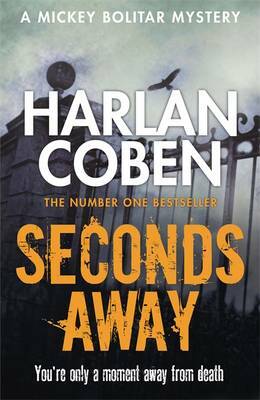 Harlan Coben's first novel, which he tells you in the introduction not to read before his other books as it's old and rough, follows the life of ex-supermodel Laura as she deals with the aftermath of losing her husband. It's a good, if slightly over-long thriller, filled with intrigue. In some cases though things are a tad too obvious and the hints feel like they should have been more subtle. There are also a few red herrings that are glaringly obvious and could have benefited from being better buried. However a lot of the story is revealed at a good pace and it does well to keep the attention of the reader and keep the story moving. The characters are a bit generic - we're aligned with various of them but still never get to know them in any real depth. They feel more like characters in a film where you can see them but not see inside them. This is probably emphasised by a deliberate attempt to obscure motivations, which limits the access we have to the inner thoughts of most of the characters. So overall a mix of reactions. I enjoyed reading it despite the rough edges, and don't think it really deserved the warning that the author had appended. The sixth Bryant and May novel follows on very swiftly from the fifth, beginning at a wake. Stumbling home, Bryant has an unusual encounter that kicks off one of the most bizarre and puzzling investigations the Peculiar Crimes Unit has faced. It's an absolutely fascinating plot that certainly makes for one of the best entries in the series. There's one moment that felt a bit unfair to the reader trying to follow along, but the balance of comedy, tragedy, action and mystery is perfect. One of the things I've just noticed that I'm enjoying in this series is the rotation of character focus. While the whole series is of course about the two title characters, the secondary cast seem to be taking turns under the spotlight to examine their lives and motivations. Another great story that makes me really glad that I continued reading, and that there are lots more of them lined up ready on my shelf. 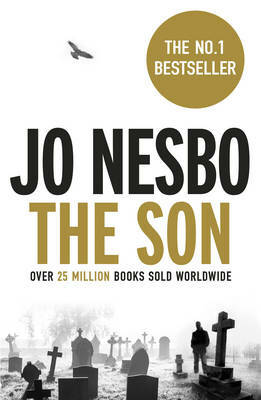 This standalone novel from Jo Nesbo introduces us to 'The Son', who has become a religious figure in his prison, relieving the other prisoners of their guilt through confession, as well as involving himself in various other goings on. Until one day he receives some surprising news, and immediately things change. This is a fantastic story which I really loved. The narrative gripped me throughout as I was desperate to start pulling together all the threads on my mind and learn what everything meant. Despite that I was still surprised by how things worked out. One of the best things about this story is the way that the narrative is presented. Throughout the story we are aligned with many different characters, some only for moments, and it's through their eyes that we see the whole story - at no point are we aligned with the Som himself. I thought this was a great way to tell the tale while leaving some things a mystery, and it really goes to show off the creativity of Nesbo's mind. I found myself completely hooked on this story and would strongly recommend it to anyone who enjoys a good mystery or thriller. Have fun. Book seven in the increasingly convoluted Iron Druid sees our cast expand again to three different characters we are aligned with - bizarrely two of them speak in one tense and the third another. This adds some more fun to the tale as we can follow a number of different plots simultaneously and makes it more entertaining. The plot sees the characters split up on separate adventures, but nevertheless feels like it's treading water again - more about moving the pieces into position for a forthcoming finale rather than actually telling a self-contained story. My interest fell mainly with the secondary characters, each of whom at least have an emotional arc and are exploring new things, but overall the plot didn't grip me and I found some passages particularly dense and hard to ingest. I'm not out off enough to abandon the series, but I am kind of feeling glad it's almost over, as it already seems a bit dragged out. Perhaps once it's wrapped up I'll be better able to appreciate the individual parts. 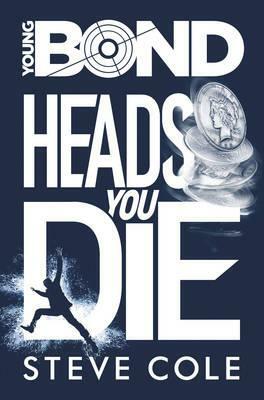 The third book in Steve Cole's Young Bond series (which itself is a continuation of Charlie Higson's five-book series) sees the teenage James Bond take up a place at Fettes - a traditional Scottish public school. 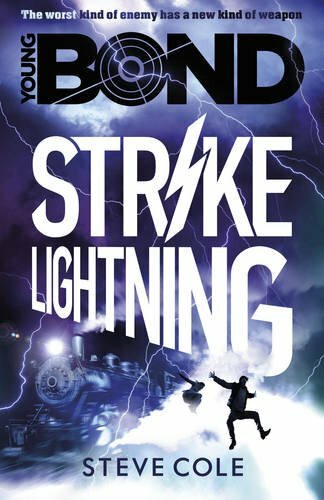 Idyllic school life doesn't last long though - when Bond encounters a suspicious teacher and his assistant, and one of his schoolfriends is struck by lightning. 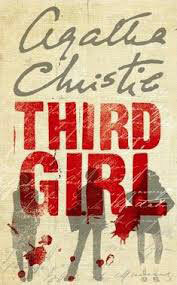 It's another really great adventure in this series that paints a good picture of its locations and time in the 1930s. I've read a number of historical young adult novels recently and it's really great how authors are telling thrilling but authentic stories from this time. There is a touch of science fiction to the story, and I'm in two minds as to whether or not this works. It is a staple of Bond fiction and film to depict technology that's a step ahead of reality, but that's easier to consume when it's in a contemporary setting than in the past. Overall an enjoyable read that adds another view of the era that shapes the character that we see in the later, original novels, as well as being an entertaining and age-appropriate adventure for younger readers. Sophie Hannah returns to pen her second Hercule Poirot novel in what appears to be becoming an officially sanctioned continuation series (although in the originals, there is little continuity between stories, and here we have several direct references to the previous story). This time Poirot, and our returning narrator, Inspector Catchpole, are summoned to Ireland to the home of a dowager countess who plans to make a startlingly my announcement. It's hardly a spoiler to say that murder ensues, and we join the sleuths as they investigate. Hannah captures brilliantly the balance of crime and humour that Christie's own works were populated with, particularly with the character who I felt was Enid Blyton-esque (though others have suggested it's Christie herself) who adds the necessary touch of comedy that keeps this style of whodunnit from becoming dark and gritty like much of the modern crime genre. 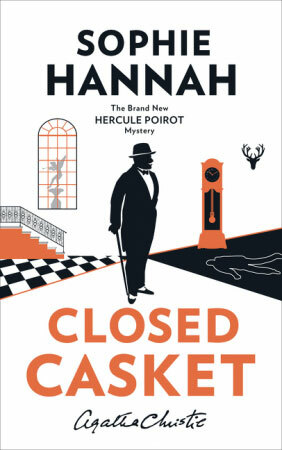 I was not massively impressed with Hannah's previous Poirot book, but this time felt that she had got it spot on - an excellent mystery which only mostly baffled me until the end. Zombies are the monster of the week in this, the seventh book about Harry Dresden, Chicago's local wizard for hire. 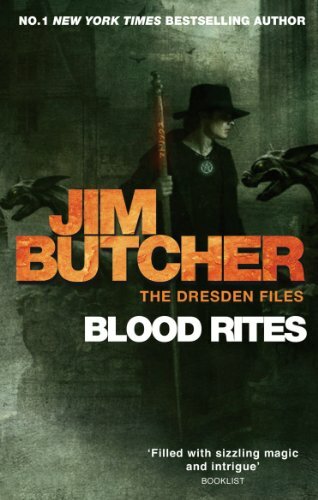 Knock-on effects of the previous books in the series lead to several uglies seeking out the secrets of necromancy, and Dresden is once again sucked in. I found it quite hard to get into this story. 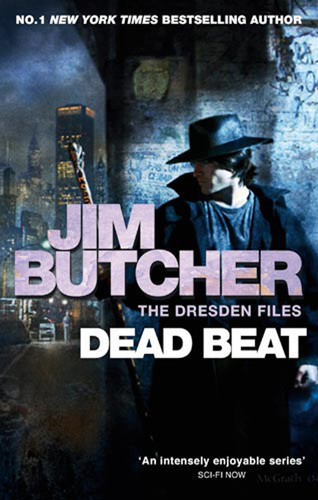 The beginning relies on recalling who a number of people are that are hanging over from previous stories, and continues to introduce new ones to Dresden's gang. Once I'd reached about halfway though the story seemed to liven up a bit and start to draw me in to the point where I was racing through. One of the standout aspects of this particular story is the way Butcher has littered foreshadowing subtly throughout, and while I picked up on some of it from the classic Chekov's _______ presentation, a lot still surprised and delighted me when it came to the later reveal. The climax of this one is excellent, and it does continue to build up the complex world of these stories - though I perhaps think I need to consider taking some sort of refresher course before hitting each new entry. We return to Canavan's fantasy world for a second trilogy, set some twenty years after the first, where a slightly evolved society sees characters both old and new face new challenges. It has exactly the same feeling as the original series and it's like barely a moment has passed as the reader is dropped back into the world. If anything, the story is a little bland and forgettable, and too much of it is familiar from the previous stories in the world and little of the world building feels new. I think I would have preferred it to push the boundaries a little more, and maybe the later books in the trilogy will do so. The debut novel from Ernest Cline, though the second of his that I've read, is currently being turned into a film by Steven Spielberg, and it's clear to see why. 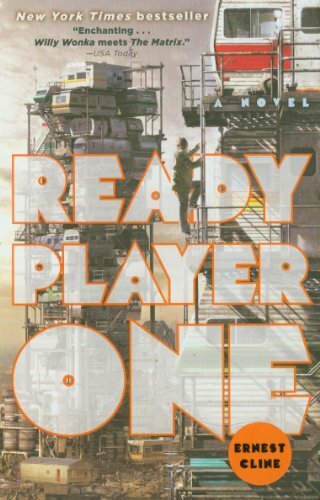 This is a fantastically rich novel, full of cult references to the early days of computer gaming and the eighties and nineties, that also tells a strong adventure story in a really compelling way. The cast of characters are very compelling and it's really easy to identify with the main character and his relationships with the world, the computers, and the other characters - he reminded me a lot of Harry Potter in some ways, being slightly bland so you can cast your perspective easily into his head, but also by being the complete accidental hero. I think what I enjoyed most in this novel though was the worldbuilding. From the post-apocalyptic future of RL to the virtual worlds that the characters visit, Cline has constructed an environment for his story that is amazingly rich and detailed and entirely believable. It's a great novel and truly deserving of being made into a film by the best filmmakers there are. I look forward to a line continuing to produce amazing novels and will certainly be close to the front of the queue for them. Somehow this is the eighth Anna Travis novel and yet it feels like much less has happened. Anna's brought in to help out on a cold case with ties to a recent murder, and deal with some emotional baggage. The plot is strong, with some interesting twists and a feeling of uncertainty throughout, which leaves the reader rooting for the character right to the end. There was a point where I was wondering what was happening as the book felt like there want enough to fill the rest of the pages, and it felt like the en t part was almost tacked on to bulk up the length, but it was still good stuff. Fortunately the author has dropped some of the more ridiculous soapy plots that have appeared on some of the earlier novels, and though there is still character development it feels more mature and realistic, which actually helped make for a more relatable main character. I was surprised by how much I enjoyed reading this book and it has really helped me get back into reading after a bit of a drought recently. I even found myself pulling it or of my bag to read in the evening as well as on the train, which only seems to happen now with truly addictive reading. Who would have thought there would be a sequel? Who would have thought it could be as exciting again? I was slightly dubious when I heard there would be a play, but my interest has been slowly piqued by the marketing department’s drip feeding of information - but nothing could have prepared me for reading this, the rehearsal script for the play (the actual play may include tweaks to the text made during rehearsals and previews - but I haven’t managed to see it yet). Fortunately, I’ve read a number of scripts before (I own scripts from Star Trek and Doctor Who - and we were taught from scripts at school by the likes of Arthur Miller and William Shakespeare), so wasn’t phased by the difference in format. In fact, I quite like the format of a script, as it gives the right amount of description to force my brain to put in some work in the imagination department, unlike in a novel where it thinks someone else has done the work and I don’t need to visualise it. There were a few places where I found it awkward though, such as scene breaks that return to the same scene afterward (like a TV show ad break) or over use of one particular uncommon word in the stage directions. I felt that the opening was fairly predictable, and was lulled into thinking it would continue that way, but then was hit by several things, before the plot twisted off in directions I never would have guessed. It addresses a number of elements from the books that hadn't even occurred to me as needing following up on, and certainly adds a great new dynamic particularly to the characters' relationships as we see them in new situations. I was thoroughly satisfied with this book, despite it being fairly quick to read (I read the first half twice before allowing myself to progress, which not only dragged out the experience but helped me take it all in). I look forward to one day being able to see it performed on the stage. 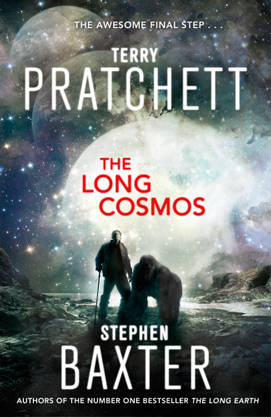 The final novel with Terry Pratchett's name on the cover, this is also the fifth and final story in the Long Earth series. 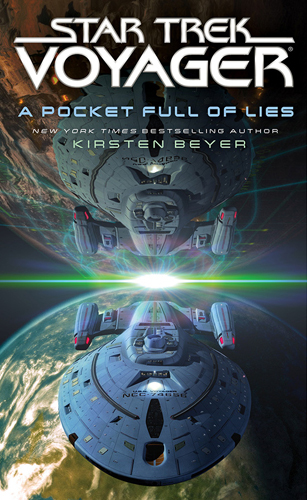 The other author, Stephen Baxter, explains in the introduction that the pair wrote the book several years ago and so Baxter has only had to shepherd it through the publishing process by himself. Joshua, the original step-day explorer, is heading off on one final time expedition into the many parallel worlds that he discovered, and the whole of the Long Earth is reacting to a strange message from the skies. It's a great conclusion to a series which looking back on my notes I've enjoyed very much. The story does well to build upon and wrap up a number of the story points raised in the earlier novels without feeling like everything is coming to an end. The narrative is full of the wit and humorous references that are expected in a Pratchett story, and it certainly serves as a fitting end to his fantastic literary output. 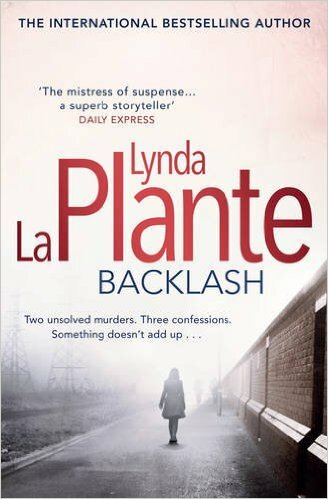 Book nine in the Liz Carlyle series. I picked it up dubiously, remembering that I'd found the previous novels to be quite weak. Clearly I was being a fool as I've just looked back at my comments on the last couple of books in the series and they are overwhelmingly positive. 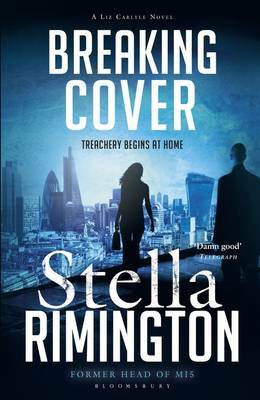 This book follows Liz, and the regular secondary characters, as well as several new ones, as they investigate a vague threat from Russia against the British intelligence services. It's another fantastic story that focuses on realism and telling a story that's completely believable, with just the right balance between plot and character, as it continues developing their lives. My only gripe would be that there is one key scene that I felt I was seeing from the wrong perspective and it seemed clumsy that it was the one moment that I wasn't able to follow what was happening because I didn't have all the information I wanted as a reader. 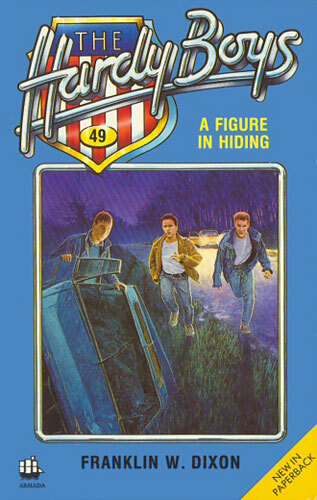 The eighteenth story in the original Hardy Boys series (noting that my copy is of the 1960s re-write) surprised me by surpassing the quality of the immediately previous adventures by being an excellent story and a good mystery that I really enjoyed. 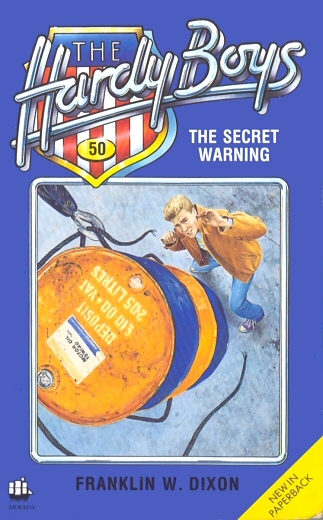 There are a number of tropes that recur from earlier stories, but something about this story, which kicks off with the boys being asked to keep an eye on a suspicious ship, comes together into a story which flows at a good speed, survives the test of time without being offensive or silly, and makes for a mystery that seems completely plausible. Joe Abercrombie - dull and overly wordy. Found myself bored of the language choices quite quickly. Diana Rowland - quite interesting. On reflection, should have seen things coming. Sherrilynn Kenyon - would probably make a good longer story, but the length made it hard to feel a connection with the characters. Melinda Snodgrass - Interesting first chapter to a book I'd be quite tempted to read (except there is no more). Pat Cadigan - engaging story that felt a bit out of place in its everyday realism. Cecelia Holland - Good piece of historical fiction that felt it could have been from A Song of Ice and Fire. Bit unclear how much is based on reality. Tempted to look up more details, but didn't. 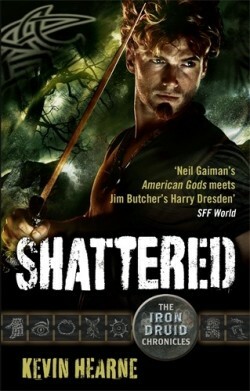 Jim Butcher - didn't read. Seriously, who puts spoilers in the author's biography for the guy's main series that I'm barely a third of the way through. 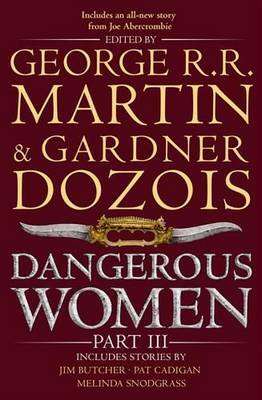 Martin and Dozois, that's who. Infuriating! I've been putting off reading this last part of the collection for some time. Looking back I liked the majority of the stories, yet at the time it never inspired me to pick it up and keep reading. Maybe I'm just not one for shorts that aren't part of an established series. 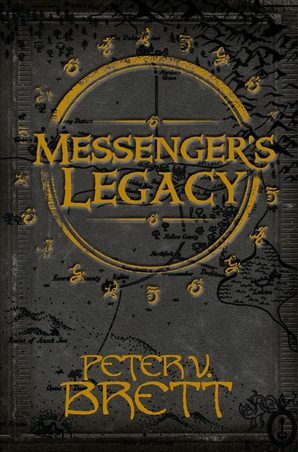 A short novella from Brett's Demon Cycle series, Messenger's Legacy is the tale of a young man, the victim of a prejudiced society and a horrifying accident. It's hard to say more without spoilers. Apparently the first chapter has previously been published on its own, and it was clear how it could work as such, but the later chapters really turn the story up a notch and develop it in a way that I wasn't expecting. It's an interesting new look into a world that already has a lot of different views, and if, as I'm led to believe, the events of this book have an effect on later events in the main series then it's a good extra to have read. 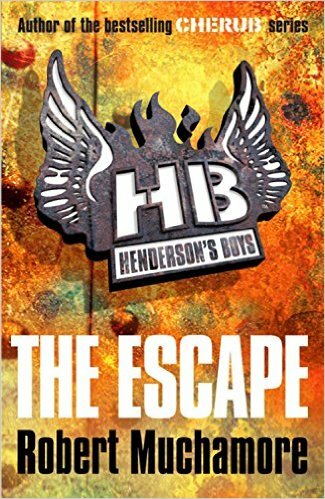 The second of Coles' Young Bond novels that follow on from the previous series by Charlie Higson is an immediate sequel to the first. We join the teenage Bond on a Caribbean island as he makes his way home from the last adventure, and it isn't long before he gets mixed up in another. As with the previous novel, I find I'm highly critical of the publisher's marketing - while I'm clearly not their target audience I am at least a secondary market that it would make sense to inform of the existence of the novel sometime in advance of publication? 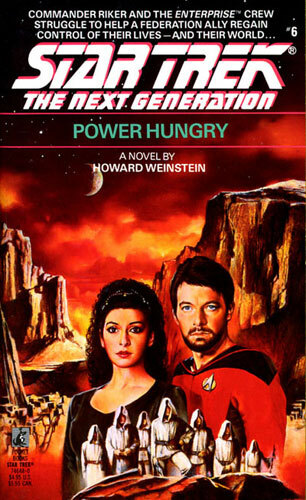 I found it to be an enjoyable novel that cleverly weaves in aspects of the character from the original parent series and it's fun to see the moments which are clearly intended to act as foreshadowing. It has a solid plot and strong guest characters that make for a great adventure for all ages of reader and I look forward to Coles' next novel, which the marketing has worked for and which I am expecting to see later this year. 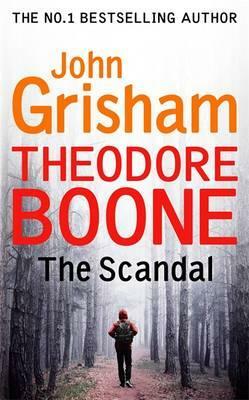 The sixth Theodore Boone novel from John Grisham sees his middle school hero taking standardized tests that will affect his further education, and needless to say things descend into the courtroom. There are many good things about this book - the characterisation is much improved over the earlier stories, with the main character being much more realistic and three dimensional. The plot as well is completely believable and moves at a good pace. However, the story suffers on a number of angles. One of the most notable things when I started reading was the presence of outdated attitudes in the narrative, for example that the Boone family trend to eat out because Theodore's mother is not good at cooking, with no reference to the other characters' culinary abilities. Similarly there are elements of classism, with the narrator looking down on families who live in rented accommodation, and I'd imagine alienating half his target audience. Later on though the story takes a drastically socialist turn leaving ma unsure what message I'm meant to be taking away. Finally, for a book about morality and doing the right thing, it seemed particularly lenient in wrongdoers. Perhaps it's because I don't have an understanding of how things work in fictional America, but I'm fairly sure similar events in the UK would have been considered far more seriously. So. Slightly entertaining, but also aggravating. I don't think I can recommend it. 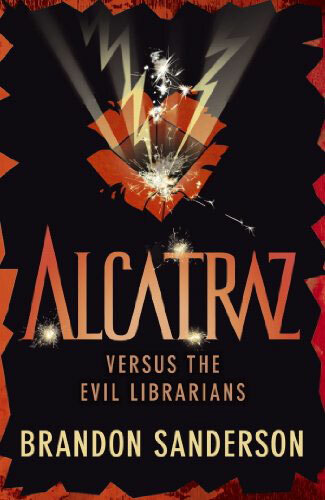 I was surprised when I finally purchased this entry in the Alex Verus series to discover that it's only the third book, thinking that I had read more than just the two novels before it. It feels a more mature story, with the characters seeming more comfortable in themselves and the narrative, presented in first person, flows more naturally. There are some nice new additions to the cast list, as well as deeper exploration of the world and its magic systems that strengthens and builds the existing ones. 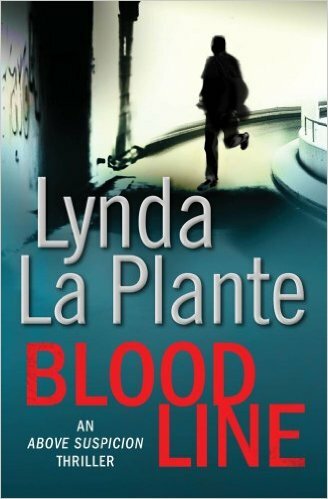 The plot is a well structured thriller mystery, where nobody's intentions are clear and there are plenty of turning to explore. I did feel that the length of time I left between novels was probably a little too long, as some of the minor characters had declined to stick in my memory and I didn't feel that this novel did enough to roundly reintroduce them to me. One place I did think this story disappointed was in not using the protagonist's own magical skills in a way integral to the plot. One of my favourite aspects of earlier stories was how it was used as a fundamental to hang everything else off, and this time it just felt like a tool used to solve a problem. Overall, good, but not great. Enough to keep me reading though. 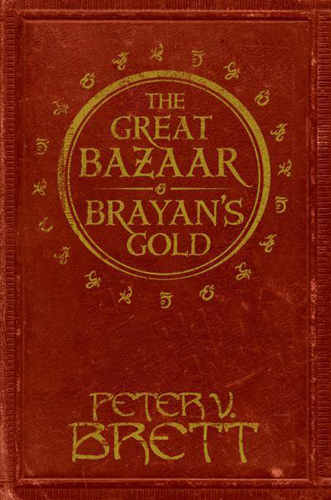 The seventeenth book in the original Hardy Boys series, in its revised form, tells the tale of the brothers on the trail of an island inhabiting ghost, and a golden relic of ancient Egypt being imported too the United States for some sort of illegal sale (probably). It feels like a bit of a mishmash of different plots, with many different mysteries tied together in a convoluted and unlikely web of intrigue. I'll admit to having taken a break from the story halfway (not through any specific fault of the book), but I didn't think this structure made it easy to keep up with everything that was going on. Overall, fairly typical entry in the series. Didn't do anything special or notable and would probably have better served as a single sitting read. Stephanie Plum, bounty hunter, sees her sixth adventure in the ongoing soap opera of her life with only the slightest twist in the formula. This time her friend Ranger is her target as he's vanished following a mysterious death. I can't entirely render remember why I started reading these novels - probably one was really cheap in a library sale - but I quite enjoyed the first few, with the idea of a woman attempting to make it in an unusual profession. Now however the premier seems a bit stale, and it feels a little like the author has run out if be ideas for plot and has fallen back on romance to take over as the primary story. The lustfulness of the characters was there from the start, but now it seems to dominate over the story. Additionally, the series has started to develop cliches - grandma's trips to the funeral parlour and the destruction of cars in particular, which now detract from the enjoyment of reading. 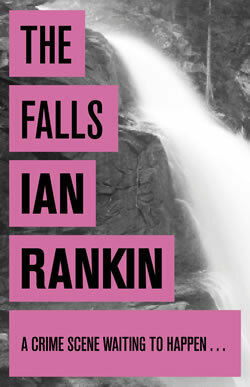 Book twelve, and somehow Rankin manages to keep Tennis feeling fresh, moving on his personal storyline while providing new and intriguing mysteries that keep getting better and better. This is the tale of a missing student whose parents have sufficient status too call in the full weight of the Lothian and Borders Police in to hunt her down. As usual, Tennis takes the investigation in his own direction and finds much deeper and more disquieting things to look into. I think my favourite thing about these books is the way that they are never really about the plot. It's like the mystery itself it's just a framing device to get us back into the lives of the characters and learn what they are up to. And the characters' stories are so rich and fascinating, especially as we are branching out and being aligned with more of them as their relationships shuffle around. Actually really really good. 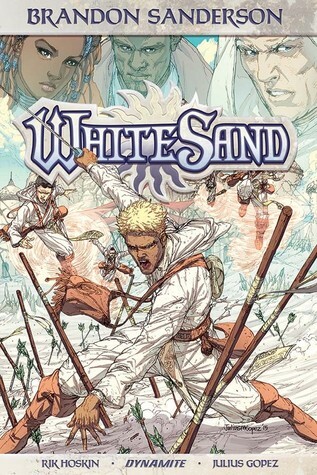 One of the best in the series and certainly a story I would recommend. 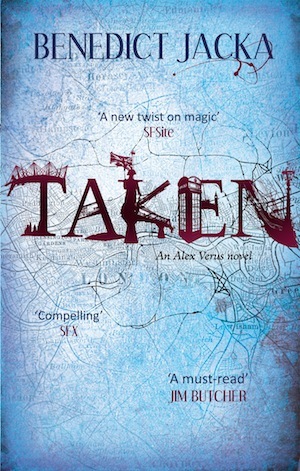 The fourth book in the Rivers of London series is another thrilling and mysterious adventure for Peter Grant and his colleagues at The Folly, headquarters of the Metropolitan Police's only wizard division. There's a lot that serves as confrontation of the series' ongoing plot and I don't think this one really works as a stand-alone without the knowledge of what has gone before. For those who are following the story it offers a lot, including some titbits of background and some major developments. One of the aspects that I like best about this series is the simplicity of the magic system compared with the rich detail of the London setting. 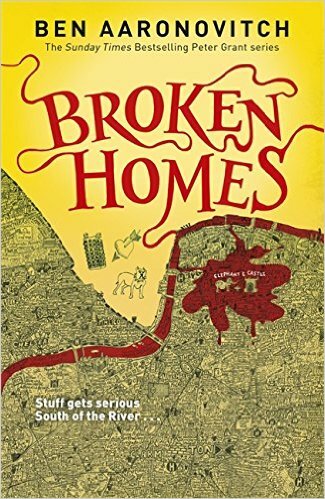 Aaronovitch demonstrates an endless knowledge of the capital and it's diverse cultural heritage which vastly increased the realism and depth of the story. Quite possibly his best yet, and one which only increases my desire to keep reading. The first in a short duology, and also the first full length novel I've read by the author under this pen name (i've read a lot of her sprites published as Robin Hobb), this tells the story of a healer and her slightly unusual child in a hunter-gatherer era with a touch of fantastical magic thrown into the mix. 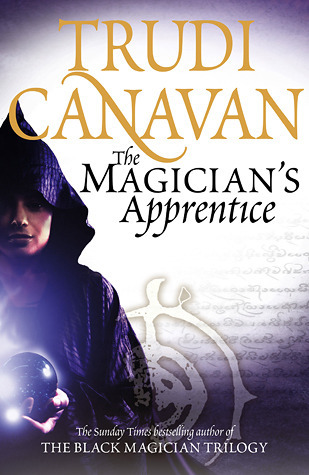 It felt to me like a cross between the early tribal society of Jean M Auel's The Clan of the Cave Bear (though this book is vastly more interesting), and the healing aspects that I loved in Trudi Canavan's The Magician's Apprentice. The beginning of the story didn't grip me, seeming a collection of dissociated scenes and arbitrary magic that had no purpose, but one the plot got moving and the book started to tell a bit more of the daily life of the characters then I really got into it and became completely hooked. So from a slightly rocky start where I didn't expect to make it to the end of this volume, I came to be disappointed when the book reached is conclusion and was disappointed to not have the second part immediately to hand so that I could break my usual rule of not reading the same author's stories back-to-back. The second young-adult story about Mickey Bollitar, teenage nephew of the author's long-running thriller character Myron, follows on immediately from the end of the previous story and makes a lot of references back to the events depicted therein. Thinking back, I'm not sure it's possible to easily describe the plot - it containing so many elements that don't really add up into a single whole. 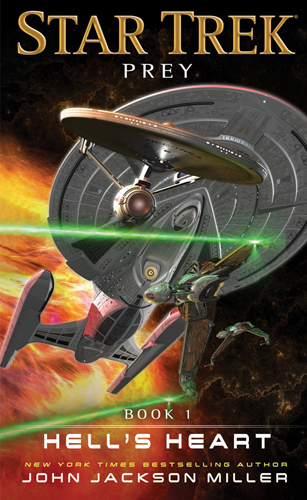 In fact, the lack of a strong resolution to the storylines makes it somewhat more frustrating than satisfying, and I hope that the third, and so-far final, novel in the series wrap poss things up neatly or I'll be quite irritated. The secondary characters are still interesting, although I'm not sure there's enough done with them that's different to what we had before, and some of the new developments that do occur feel wedged in and more to provide what the plot requires rather than a natural extension of the characters we had met before. Overall, a quick read that didn't do anything special for me. 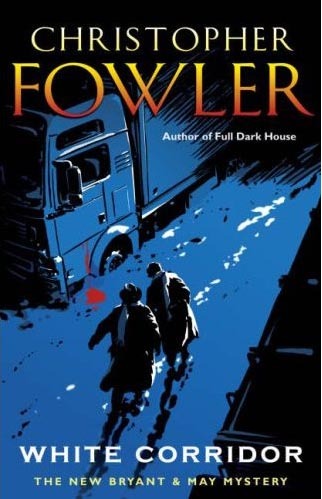 Book eight in the Roy Grace series (a series which I strongly recommend be read in strict chronological order) sees the now Detective Superintendent called in when a body is found without arms, legs or head in the waste product produced by a chicken shed. Simultaneously, his bosses challenge him to manage security arrangements for a major Hollywood star making her new movie on his patch. 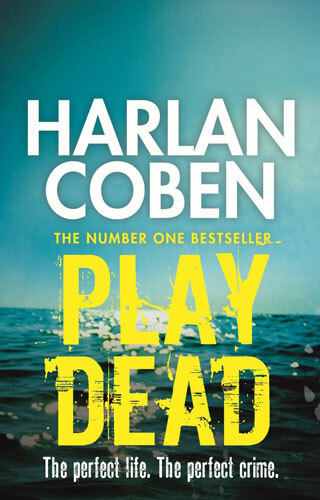 As usual, it's a great complex plot with a rich number if threads to follow that give the reader just enough information to be tantalising close to piecing everything together, but still being one step away until the final moment. The character work continues to be fascinating as well, spinning out a little into some of the minor characters and exploring their lives as they become more prominent parts of the plot. There are also some new events in the ongoing storyline that ties the books together that surprised me, and pointed to more interesting things to come. I think my favourite thing though about the book is its pacing. The use of lots of very short chapters means you never get bogged down while reading and always feel like continuing, and reading just one more before your train pulls in. 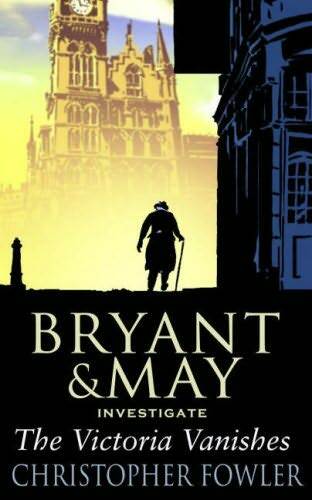 I find the timeline of the Bryant and May novels somewhat baffling given that they aren't in chronological order, but this one has mobile telephones so I'm fairly convinced that it's set in the modern day. 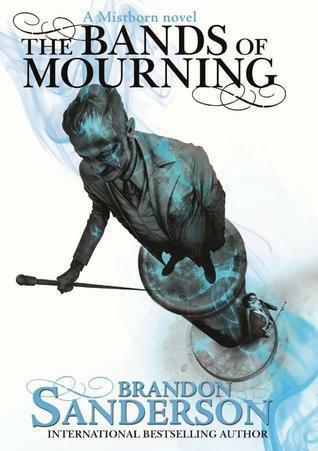 It's an interesting if slightly bizarre story that follows the main police officers as they head to Plymouth for a spiritualist convention, their team as they investigate a death that's a little close to home, and a mother and son running away. Somehow this all comes together in an entertaining plot that all makes perfect sense at the end of the day. The story moves at a good pace, surprising really given that it feels like it should be slow as there's not a massive amount of action, and as usual includes various unexpected twists and loose threads that are left dangling for future stories. One of the nice things about this story was spending some time with the junior officers, and getting to know them better rather than sticking with the main characters, who in my head have now settled down into the images of Mainwaring and Wilson from Dad's Army. Overall a really good mix of plotlines that I enjoyed reading. I love that I can't know what to expect with each book in this series and that they can continue to surprise and delight me, and I look forward to more of the same. 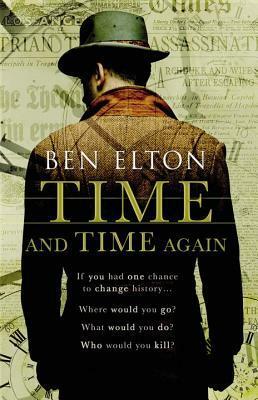 It's years since I read a Ben Elton novel, and although I was recommended this by a friend and bought a copy quite a long time ago I've only just got around to picking it up to read. This is a story of a military man from 2024, recruited by a secret organisation to head back in time and make a single change to save the world. And it's great. 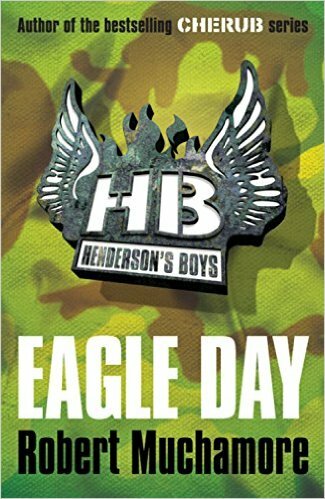 Elton's earlier works that I've read were mostly about the humour, and I don't recall picking up anything deeper (although on reflection it was probably there), but this is a much more grounded novel that for the most part takes itself very seriously, yet still had the occasional moment of levity. I found the whole setup very compelling and read through the whole story in just a couple of days, racing to find out what was going to happen. I felt that some aspects of the narrative moved much more quickly than I was expecting, but it becomes clear later that this is so that the later elements become more notable. There are some great twists, although some of them are obvious from very early on and I was just waiting from page to page for them to come along. In the other hand though some twists that I thought were obvious never materialised. Some of the narrative however felt quite clumsily written. Some exposition felt rushed and as if it were just being told by the narrator rather than being revealed by the story, and I felt this cheapened some key moments. Overall though a brilliant read and one I'd be tempted to revisit again with knowledge of the end to try to catch anything I missed earlier in the tale. Makes me tempted to look out for some more of the authors output. I've put off reading his standalone Jo Nesbo novel for some time. 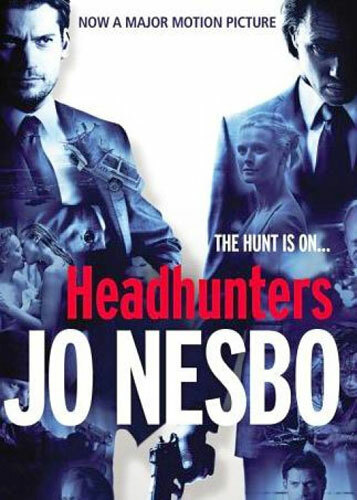 However having finished the Harry Hole series and being up to date on his latest releases it came to picking this up. I really enjoyed it. Headhunters is the tail of a recruitment specialist who is known for always getting the right person for the job. But there's more to him than that, things that not even his wife knows about. It's an excellent story about an interesting character that goes from a fascinating look at a mans life to a hilarious adventure that keeps the reader gripped. Okay, so there was a point at which I felt like the author had spoiled the good thing he had going with one of the twists, and I felt that the story was moving dramatically from something I'd been loving into a different type of story, but then everything became a step more awesome and I got sucked right back in. Nesbo has a real talent for creating characters with shades of grey that really engage and deAw you in as a reader, and I'd have no qualms about recommending this book. 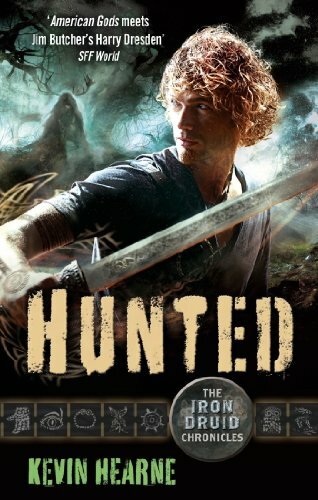 The sixth Iron Druid novel continues directly on from the fifth story, and so is kind of the second story of the second arc within the series. The characters are on the run from a group of vengeful gods, racing across Europe in an attempt to find somewhere safe to hide or mount a defence, and I just didn't really engage. I don't know whether it's because the characters' motivations were established in a story I read three months ago, or whether I've just lost track since the continuity gap between books four and five, but I really struggled to feel interested in the plights of the characters and never felt that gripped feeling of being desperate to keep reading right until the train pulls into the station. One thing I know failed to engage me was the rolling roster of secondary characters that drop in from a really wide variety of mythological pantheons. It's reached the point where they are so saturated that is can't keep track of who is who, which side they are on, what's motivating them, and why I should care. So I'm afraid that this entry wasn't really my cup of tea. I don't think it'll stop me continuing with the series, but it's certainly not going to be something I hurry back to. 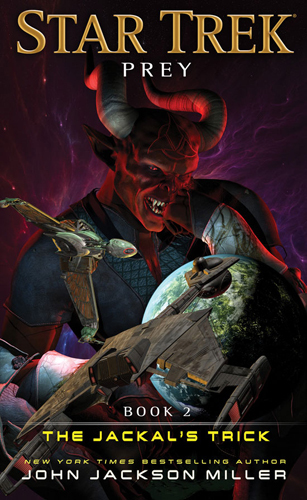 The third (ish) and final story in the Reckoners series continues the adventures of David, now leading the team opposing the Epics, a group of evil super humans who control the world using their various powers. 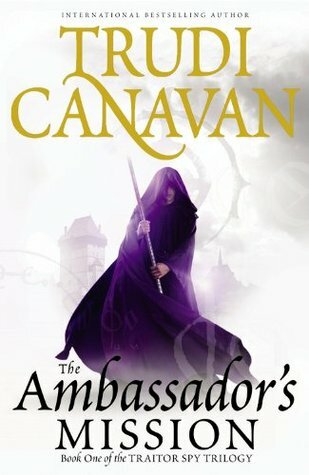 Sanderson's worlds continue to develop in interesting ways and his magic for twisting settings in ways that you don't expect, but which it also becomes very clear he's had up his sleeve all along, remains present in this as it has in the other two books he's already released this year. I love how the main character has developed since the start of this series, gradually gaining in skill and confidence and ambition. This is a good clearly intended for a young adult audience, but there's nothing in it to separate it from a novel intended for adults, and I think anyone who doesn't mind a bit of fantasy would really enjoy this light series. 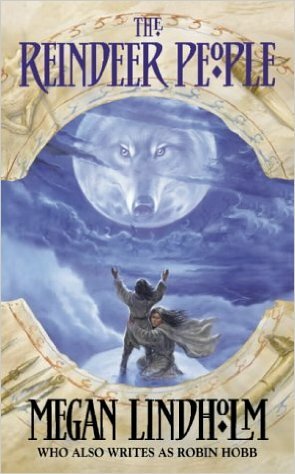 I've heard that other readers didn't think much of this conclusion to the series, but although I didn't rate it amongst Sanderson's best, it didn't do anything to disappoint me. The time has come in my latest Harry Potter re-read to revisit my favourite of the series (and I know that's an unpopular opinion). 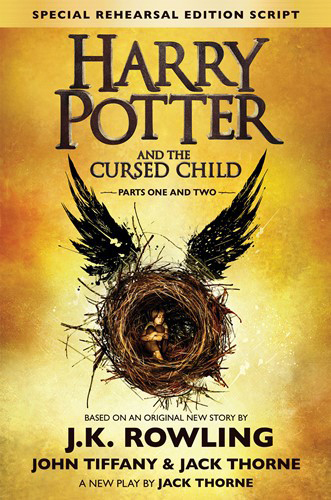 I started this read through trying to be in sync with Pottermore releasing bonus material for each book, but since I read Goblet of Fire last the format of the website has completely changed and so I just took the opportunity to read the story again and prepare myself mentally for the appearance of a new story (in script and stage form) this summer. Why do I like this book over the others? For many reasons. This is a tale of the Harry at a key age - he's still a child, but now he is becoming an adult. It's the point at which he turns from being a child drawn into unusual situations into a young man taking control of his life and the direction it takes. He becomes stronger and starts forming new relationships - and the secondary cast start to become more prominent. 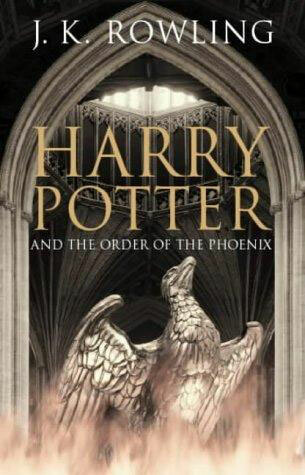 Yet it remains a story about school life, before the story is absorbed into the epic events of the last two books of Harry's story, and so still has that touch of the original structure. 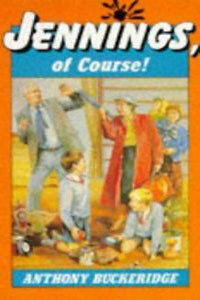 One of the criticisms that this book often draws is about Harry's moodiness and how he's become a stroppy teen. 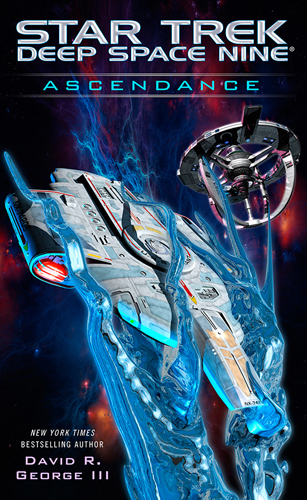 I don't see this as anything as a mis-reading of the story, instead (and I'll avoid spoilers) stemming from an important plot point that is integral to not only the story of this novel but also the rest of the series. On this reading, I really enjoyed a couple of moments which I hadn't noticed before, both early on, that seem like throwaway comments, but which with the knowledge I now have from later turn into interesting hints of foreshadowing. It's also the point in the series from which I feel slightly less familiar with the text (having naturally read the earlier books more frequently - at least once each time a new on was published) and so I enjoyed rediscovering some of the story. Still my favourite of the books, and one that I am sure I will revisit again and again and again. 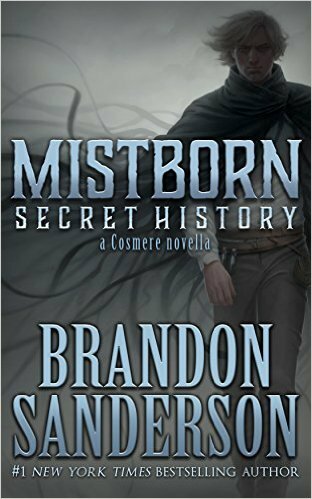 The seventh story in the Mistborn series is a fascinating diversion from what's gone before, revealing a secret second storyline which occurred simultaneously with the original trilogy. Because of this, it should definitely be read after those three books at least, if not after all six others. My recommendation would be to make sure you re-familiarise yourself with the originals before reading - I didn't, and certainly felt that I would have got more from it if I had. 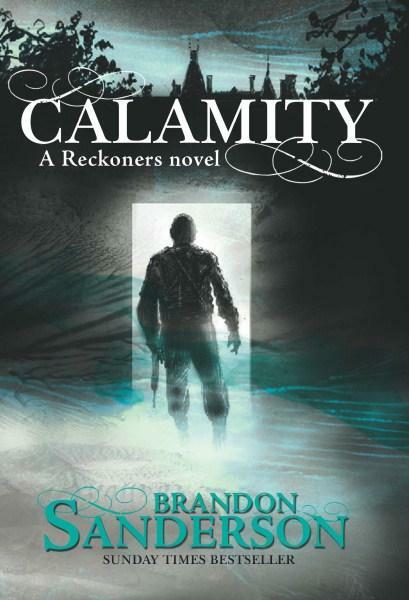 As well as being a surprise publication, the story's content is a surprising revelation of things we as readers didn't know we're going on, and it's fascinating to see Sanderson continuing to develop his world, and also that the long promised 'Cosmere', tying together many of his stories into one expanded continuity, is beginning to emerge. Harry Dresden book six, in which the modern day street wizard faces a complex curse placed on a local adult film production company. It's a strong entry in the series that really seems to move the overall plotline forward in interesting ways - definitely not one to miss if you're following the ongoing story. 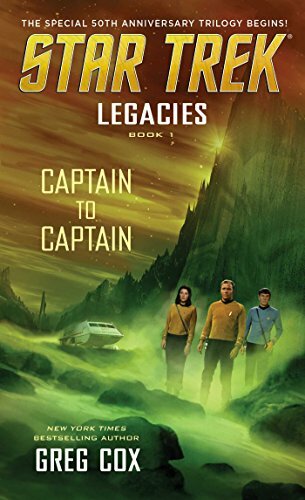 The plot here is solid and brings together a mix of new and existing characters to tell a story that, while remaining action filled and brilliantly comedic, feels much more about the characters and exploring them further than some of the earlier novels. 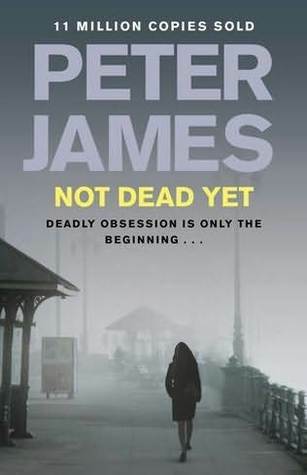 Brookmyre's original hero, now-disgraced journalist Jack Parlabane, returns in the next of the author's serious crime novels, when he's asked to look into the apparently accidental death of a hospital IT worker. As usual there's a lot going on and a fantastically dark set of characters to keep the reader guessing where things are going. Like most of the author's novels, much of the story is presented retrospectively, in the form of flashbacks interspersed with contemporary events. 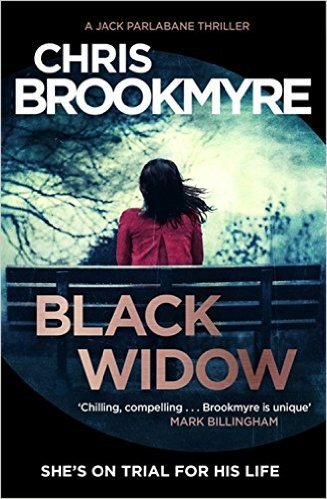 This time there are multiple points of view thrown into the mix as well as multiple timeframes, but Brookmyre manages to bring each scene together into a beautifuly flowing narrative that reveals just the right amount of information to the reader at every turn. I picked up on some of the twists well in advance, but on reflection I suspect that was by design and they were telegraphed partly to distract me from everything else that was going on. Effectively the fourth book in the series, this prequel is set several hundred years before the original trilogy and provides an interestingly different view on the same world through a dirty provisionally similar plot. One day, a young girl accidentally discovers she can do magic when threatened by a confrontational magician and is separated from her family to learn magic, not get on with other students, and get involved in a war. As a sucker for world building and character establishment, I really loved the beginning of the book as it introduced people and places and followed their daily lives. My interested waned slightly when the plot moved on to other, faster and more exciting events and away from the humdrum. Maybe I'm weird. The book has a slight feeling of being a failed trilogy. It could divide neatly into the sections, and maybe that's how it was plotted, but, in my imagination at least, the author wasn't able to pad each part out enough to make them stand alone. 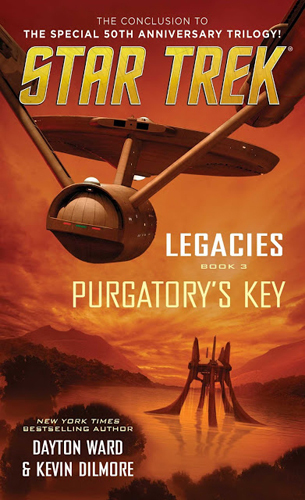 An adequate prequel, but not quite living up to the original series. Anna Travis returns for her seventh outing, but her first since promotion to Detective Chief Inspector - and it's her first chance to lead her own investigation and prove to her superiors that she's really up to it. At first it seems like just a straightforward missing persons case that Anna looks into as a favour, but gradually more and more things don't add up. Like the previous books in the series, the mystery is good, with a surprisingly small set of suspects and yet still so much going on that the reader really has no idea what's going to come out at the end. However, this also does have the slight effect of being frustrating for the reader as it seems as if even the author is just going with the flow and hadn't planned where the story is going to go. I also continue to find the ongoing storyline of Travis' personal life to be unrealistic and irritating. The emotions seem too simple, and are portrayed through the characters introspection rather than being something that can be inferred from events, actions and speech. I think it seems too much like a token gesture at fleshing out the character rather than making her feel realistic. Finally the dialogue - the characters in this novel do not talk like humans. The speech sounds like something a computer might construct (Data from Star Trek maybe),and is devoid of natural humanizing patterns such as contractions. It means that the characters are left without distinctive voices and the reader is dropped out of the narrative when they sound forced. Actually there's one more thing. Without spoiling too much, this book involves some homosexual characters, and this came across as a bit too much of a cliche unfortunately. Clearly it's only natural that some gay characters will appear in any fictional world, but the sudden leap from none to many seemed forced in this book and almost as if it was considered that there had to be a sympathetic gay character to balance out each one tasty featured a an antagonist. And on top of that featured the classic grumpy old homophobic policeman who can't help dropping stupid comments, as featured in many crime novels. Right, rant over. Overall it's a good, if overly complicated story, and I'm looking forward to finding out what happens next. 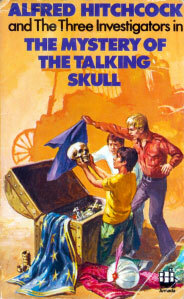 The eleventh Three Investigators story begins with the youngsters attending an auction of left luggage, where they obtain an old magicians case rumoured to contain his star trick - a skull which speaks. As T3I stories go, it's fairly run if the mill, with all the usual ingredients - spooky mysteries, gangs of baddies, slightly racist stereotypes, hidden passageways and being caught. There's nothing much to criticise, but also not a lot to make it stand out against a backdrop of the previous ten books, and so it's difficult to say a lot about. 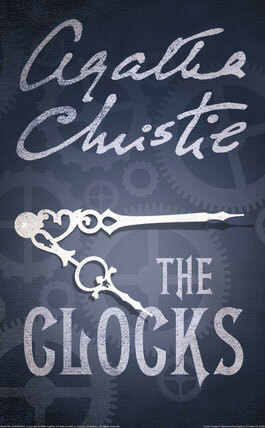 Generally the story stands the test of time, assuming the reader can appreciate that it is a product of its era and that the detectives do not have the advantages of modern conveniences. 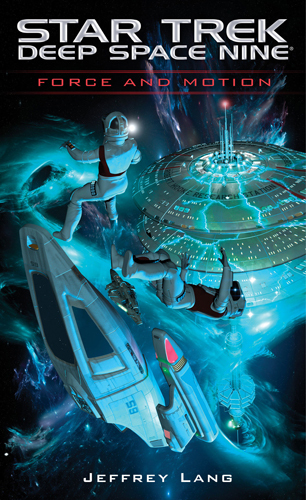 The third story in the 'Old Man's War' series by John Scalzi continues the tale of the life of John Perry, an elderly man who left Earth to join humanity's colonial defence force and regain his youth. Now retired, he finds himself offered an opportunity he can't refuse - to start a completely new colony. Once again it's a fantastic story filled with a rich volume of intrigue, comedy and drama - while a complex plot it's really approachable and manages to avoid the pitfalls that many science fiction stories seem to suffer, such as being unintelligible or dull. The pacing is spot on and the action flows in an episodic manner that still feels naturally continuous. 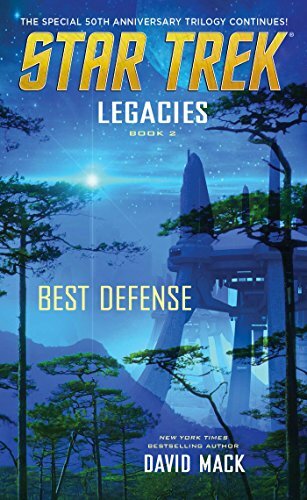 Despite the time that's passed since I read the first two books, and my memories off then being somewhat hazy, the narrative provides just the right amount of setup to get me back into the world without me feeling overly burdened by recaps and I'm sure this would provide an easy starting point for a new reader to the series. 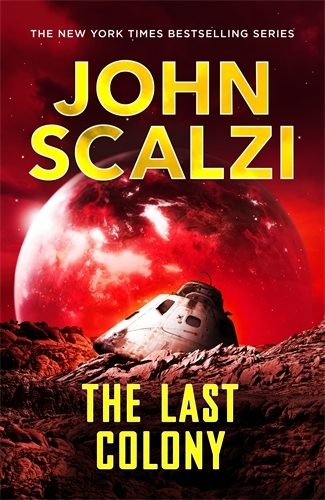 I love the characters and the humour that Scalzi creates and reading this was another great experience. I'll definitely be looking out for the later books in the series and hope that they continue to be as great. The second short story from The Demon Cycle depicts another moment in the life of Arlen, one of the main characters from the novel series, taking part in one of the moments that feel between chapters in (i think) the first novel, The Painted/Warded Man. I found it fascinating to read from a number of perspectives. 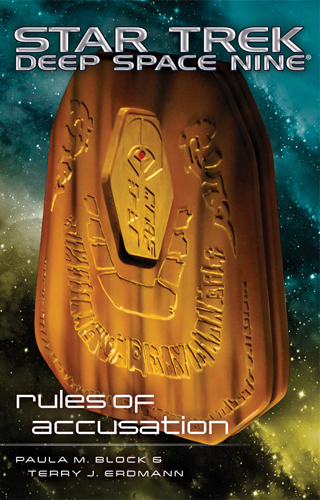 It adds some crucial worldbuilding that parallels events in the first novella, provides insight into two of the major characters from the series, and reveals an element from the plot that I hadn't even realised was missing from the main series. 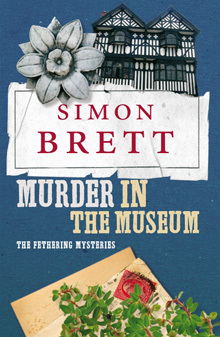 A really enjoyable short read for anyone who is devouring Brett's novels that fills a pleasant half hour gap between the longer tomes. 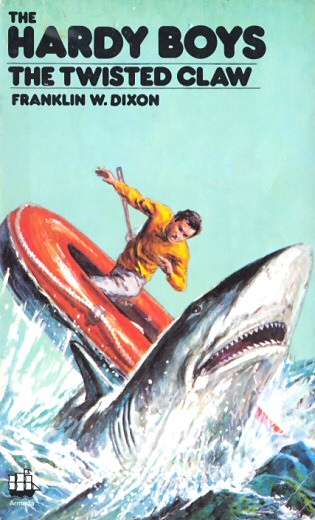 The sixteenth novel in the original Hardy Boys series (in the 1965 rewrite edition) sees the brothers up against a mysterious glass eye which they discover when one of their acquaintances' boat goes for a test run. It features a number of the tropes of the stories that I've recognised over the course of my re-read so far, including experimental modes of transport, car chases, car crashes, gangs, mystery faces at windows, Chet having a weird new hobby, and so on. 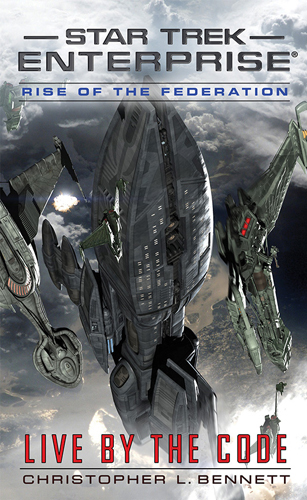 While the first ten books feel comfortably as if they have had some effort to make them varied and interesting in different ways, since then the series has gone downhill, repeating similar situations and almost seeming to follow a formula rather than putting in a reasonable amount of imagination. As such, it's becoming harder for the stories to grip my attention as I go on. Now admittedly this might be because I am not part of the target audience of young teens in the 1960s, but I think the change in my response since reading the earliest books again is to the change in quality of storytelling. In this particular example the mystery is really wrapped up in a page of exposition right at the end rather than being uncovered as part of the drama, with the story feeling much more a thriller than a proper detective tale. Overall a fairly weak entry in the early original series and not one that I'd put on a must read list.